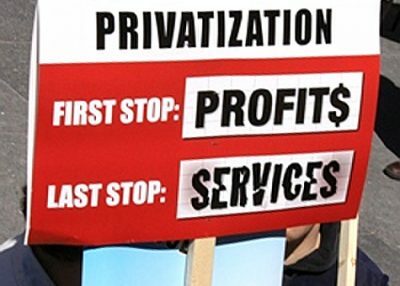 The privatization of public transit systems will likely mean long-term P3 contracts where the private sector finances, operates and maintains the service – all at a cost. No public transit system in North America has been able to cover all its operating costs through transit fares. Governments provide ongoing funding to help residents get from place to place. With public transit privatization, private companies extract long-term profits while governments continue to subsidize the service. The rail line will be maintained, operated and even owned by the Caisse – at significant extra cost. A La Presse investigation estimated the REM will operate with a funding shortfall of approximately $240-million per year. It’s possible public transit fares across the entire city will increase in order to generate these profit levels. Regardless, the public will pay for the higher costs through subsidies from municipalities or the Quebec government or higher fares for transit users. We need to build the public transit infrastructure that reduces traffic congestion, helps the environment and gets us from place to place. This infrastructure helps grow our communities and our economy. But building our public transit infrastructure through the Canada Infrastructure Bank will lead to a pipeline of privatization. Our infrastructure needs to be built in a way that benefits communities, not private investors. It needs to be built in the most cost-effective way – through low-cost public financing. And it needs to include good green jobs for transit workers. Canadian Union of Public Employees (CUPE) is the largest union in Canada, representing some 650,000 workers in healthcare, education, municipalities, libraries, universities, social services, public utilities, transportation, emergency services and airlines. This article was first published on their website. 1. Dachis, B. Commentary No. 473, New and Improved: How Institutional Investment in Public Infrastructure can Benefit Taxpayers and Consumers , C.D. Howe Institute, March 2017. 2. Schepper, B. “CDPQ et le REM, un projet qui démantèle le réseau de transport en commun de Montréal,” IRIS, février 2017.